Soteria Medical is a spin-off from the Radboud UMC Nijmegen and was, after a period of internal development, formally established in October 2012. The investment process was completed at the end of 2013 and the sale started in 2015. WHAT DOES SOTERIA MEDICAL DO? 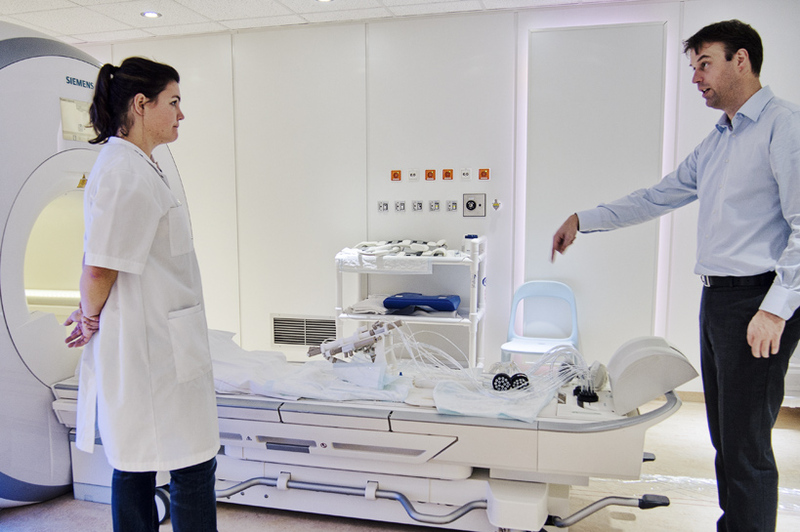 Soteria Medical focuses on the development of medical equipment, especially in the field of MRI and MRI guided interventions. The MRI compatible manipulator developed by Soteria can be used for biopsies of the prostate, through which prostate cancer can be discovered at an early stage, with the help of an MRI scan. 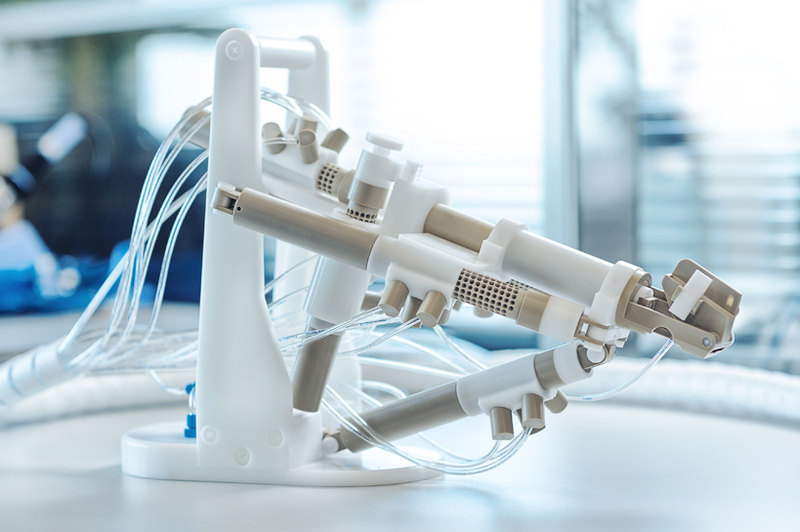 This manipulator will significantly reduce biopsy times, save MRI equipment expenses, and is also much more accurate and less stressful for the patient. The manipulator can be applied worldwide and is especially suitable for patients who are in an early stage of prostate cancer, and who have not yet been rightly diagnosed. Clients are Radiology Departments and Hospitals, using MRI for Prostate Cancer diagnosis. Soteria Medical uses a patented motor principle, which is fully MRI compatible. During the development of the RCM (Remote Controlled Manipulator), successful tests on test subjects were performed at Radboud UMC which led to data for the final product. In 2015, Soteria ISO 13485 will be certified and the first customers will be able to use the product. The goal of the manipulator is to eventually use it for the effective treatment of prostate cancer, e.g. therapies, as well as solutions that can help in fields where a successful biopsy has taken place before. The manipulator offers much growth potential in the future, also with many applications for other body parts. Soteria Medical consists of a team of three persons. Jan Sabisch (CEO, left) has extensive experience (14 years) in the field of MRI scans, thanks to his role as product manager at Invivo/Philips. 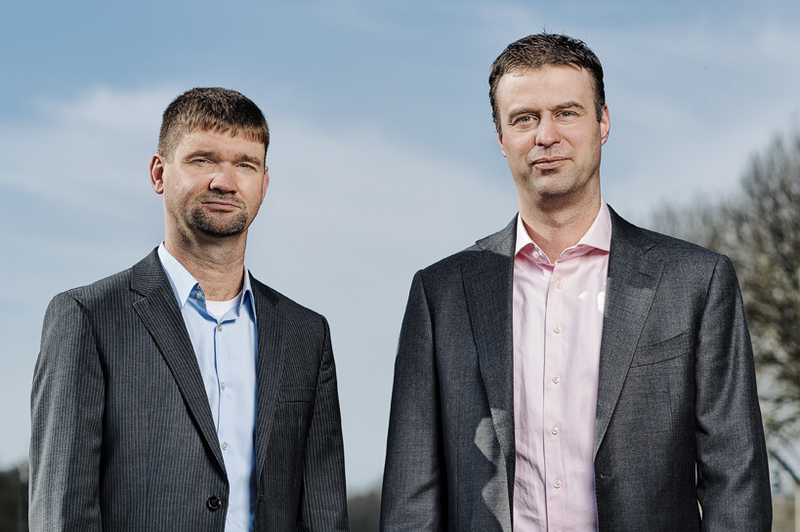 Gerrit Tigelaar (CTO, right) is responsible for the development of new medical applications within the MRI environment. 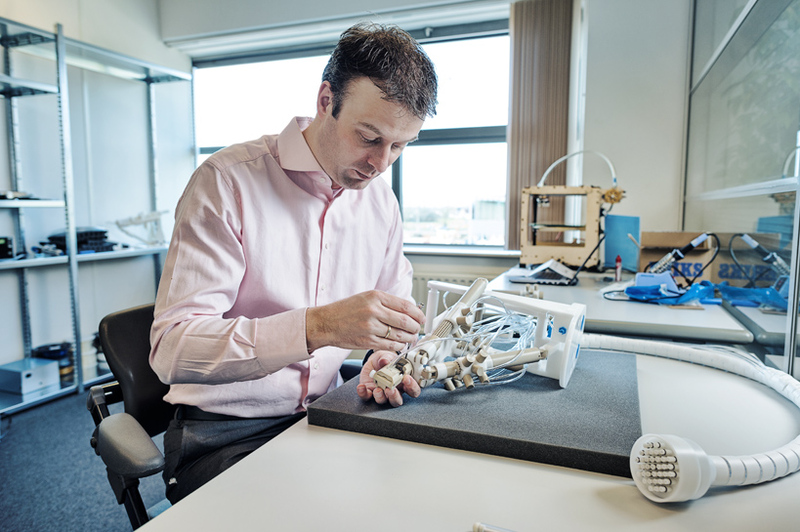 Dennis Bosboom (CSO) is a radiologist at Radboud UMC and works, together with Gerrit, on new product developments and assessments within Radboud UMC. Jan: "ZIF with its private investors, from the top of the international business management, has fast knowledge in investing in technology companies in the seed stage. In addition to investing capital, ZIF invests by contributing the knowledge and skills of the shareholders, the fund management and their networks." ﻿Jan: "ZIF direclty contributes by helping with mid- and long term strategy, financial planning, finding the right personnel etc. By utilizing their vast networks, Soteria Medical tremendously benefits from the cooperation with ZIF." Read the news about Soteria Medical. Read the vacancy at Soteria Medical.